Bob Vila Radio is a newly launched daily radio spot carried on more than 60 stations around the country (and growing). You can get your daily dose here, by listening—or reading—to Bob’s 60-second home improvement radio tip of the day. Today, it’s all about Homeowner’s Insurance. Homeowner’s insurance is probably the single most important tool for protecting your family and your biggest investment, but it’s not just a buy-it-and-forget-it deal. And it’s not getting any cheaper. Besides just keeping your premiums current, you should review your policy every year to be sure it covers any changes, like that new boat in the garage. 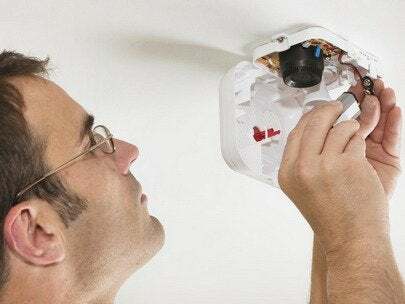 Neglecting common sense jobs like testing your smoke alarms, installing deadbolts, and getting a building permit for that new deck can trigger accidents and damage, and that costs you money. Frequent claims lead to higher premiums. Jobs done incorrectly and without permits can invalidade your coverage altogether. So give yourself a break: work out a home maintenance schedule that covers all the bases and put safety projects at the top of the list. It’s also a good idea to snap a photo inventory of your stuff, and keep it with your policy in a safe or deposit box.